In 2016, the American Academy of Pediatrics released new sleep recommendations, stating that babies should stay in their parents room for the first year of life in order to promote a safe sleep environment and in order to prevent SIDS. However, a recent study done by INSIGHT showed that babies who were not room sharing from an early age slept better (more time), and had significantly more consolidated sleep at night. These independent sleepers also had fairly consistent bedtime routines and daytime/nighttime schedules. And the big finding was that independent sleepers were in SAFER sleep environments than the babies room sharing. The study points out that initially around 4 months old, there was not a significant difference in sleep quality. But, as the babies got older the two roads started to diverge. On average, the room sharers by 9 months old were 4 times more likely to be bed sharing (meaning sleeping in parents’ bed) into later years. Unfortunately, we know too well the dangers of bed sharing with young babies. The good news that came out of this study was that even if the babies did not initially start as independent sleepers, by 9 months over 25% had learned to sleep independently and got better quality sleep. Of course, I do want to say that parents must do what they feel comfortable with. If you are not ready to make the step to getting your baby sleeping on their own, that is okay! Having worked with many families and taught many sleep programs the keys to success are: routine, teaching self-soothing strategies, and consistency, consistency, consistency. And I’m here to say that it’s NEVER too late — it’s not an easy task and takes a lot of patience from parents, but the hard work of teaching good sleep hygiene and independence pays off in the end.  If you have questions about independent sleep OR if you are ready to get your bed back and get your baby sleeping better through the night I am here to help. Contact me or schedule a free 15 minute call to learn more about my services.